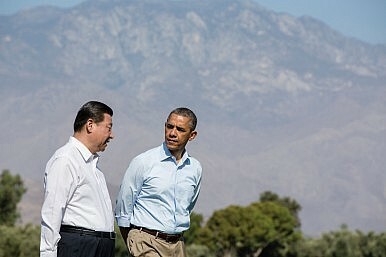 How Do We Predict the Impact of US-China Relations on International Politics? A new book by two political scientists helps us think about long-term predictions for the world. There’s no question that both pundits and policymakers overstate the importance of short-range decision-making. Part of this is the bias of immediacy; we tend to overstate events that are close, and that we can have a clear impact on. But the difficulty of long-range forecasting also weighs in favor of over-emphasizing the short term. Evaluating short-term decisions without appreciating how policymakers understand long-range trends almost invariably leads to misunderstanding. Policymakers, however, rarely make clear how they think about long-term trends, which works to insulate their decisions from analysis and scrutiny. In this context, it’s helpful to think about the tools that policymakers and analysts have for forecasting long-range trends in international politics. In a recent book for MIT Press, Evan Hillebrand and Stacy Closson (two colleagues of mine at the University of Kentucky’s Patterson School) outlined eight potential futures, based on three dichotomous variables: low/high energy prices, low/high economic growth, and geopolitical harmony/disharmony. Closson and Hillebrand use the International Futures model, a sophisticated computer program for forecasting international economic and political outcomes. Of course, energy prices, harmony, and economic growth cannot be fully separated. Global harmony may increase trade flows, disharmony may increase energy prices (especially if instability afflicts energy producing areas), and a lack of growth could reduce demand for oil. The book works its way through the eight scenarios by allowing different assumptions with respect to how we arrive at the end point. Low energy prices might result from an expansion of renewables, a technology driven expansion of fossil fuel extraction, or some other cause. Growth could result from technology expansion, or from the “catch up” of developing countries in Africa. With respect to harmony, the authors are agnostic about whether international order stems from hegemony, a successfully managed balance of power, or improved global governance. Closson and Hillebrand make clear that apparently solid assumptions can change overnight. For example, a decade ago the prospect of long-term high energy prices seemed assured. Now, with changes in extraction technology, the chance of long-term low energy prices seems just as likely. Similarly, the financial crisis transformed growth expectations for many of the world’s most advanced economies. The authors found, not surprisingly, that the strength of growth in East Asia, along with the health of U.S.-China relations, would loom large in the future of international politics. The specific predictions are less interesting than the method, however, or the effort that the authors make to frame their contribution in the broader forecasting literature. Closson and Hillebrand helpfully include links to the model, so that readers can play with the assumptions and generate their own forecasts. How long until Trump wonders out loud why the U.S. should risk American cities for Korean and Japanese cities?